Able Baker Fox is made up of four friends who met through their bands touring together in the early 2000’s. Mike Reed, Ben Reed, and Jeff Gensterblum of Small Brown Bike developed a song writing relationship with Nathan Ellis of the Casket Lottery during the recording session for their collaboration EP and decided to continue writing together. 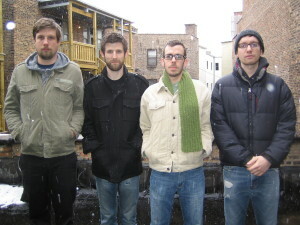 In 2008, Able Baker Fox released the debut LP “Voices”. This year the band will release the second LP, “Visions”, and will be playing shows throughout the year to support the release.